Nice shirt and I really like the bag! 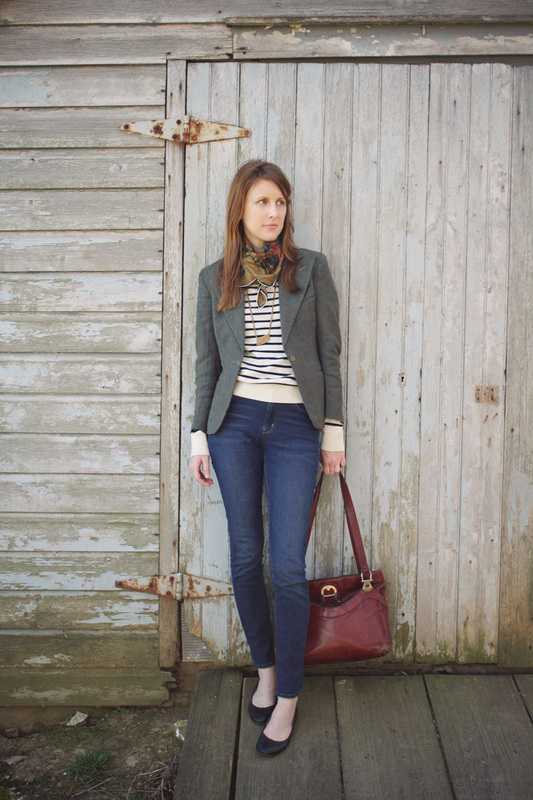 Love that stripe and scarf mix, consider it my next outfit, hope that's ok.
lovely simple outfit. I love the colors in the scarf especially. very handsome. Are these film photos? The second photo especially looks to be film. You always look so put together! That silk scarf paired with your gold necklace is such a striking combination. I always love seeing where you next photo shoot will be. ANd this one has an especially lovely, classic outfit. Really cute! :) Like it very much! You're so lovely!